When I heard that Richard Levelord Gray and Allen H. Blum III were working on the new Duke Nukem 3D episode I was excited. I enjoy mapping/level design, I especially enjoy it for classic games. Hollywood and all the levels had me shocked I mean that was amazing at the time, and still to this day. But the first level that I looked at and said “how could this be made” was E1L5 (The Abyss). This level is quite different than a lot of the maps in the game. It shows the style can be flexible to do other things. 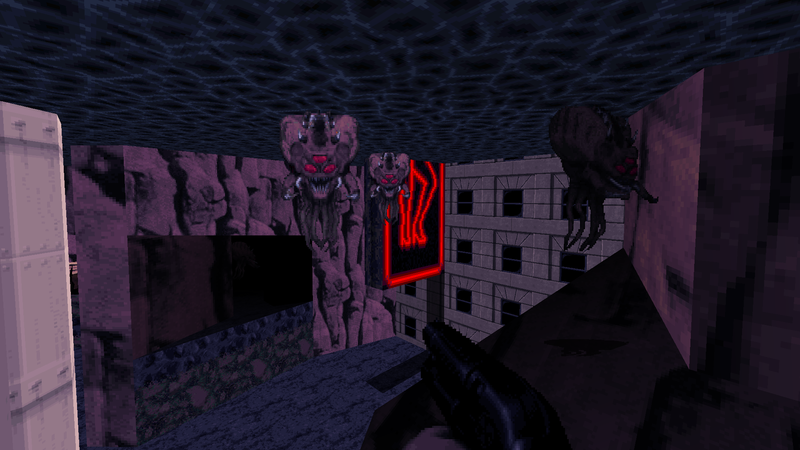 Duke 3D can go from the city to a lava pit deep in the abyss. The problem solving in this level is simple yet also a bit stumbling when we first played. It felt good to progress and you didn’t actually feel trapped. This map inspired me to want to know how to make maps, it was a huge inspiration. But I could also say the same things about most the Duke 3D levels designs. 1.) What made you get into level design or influence you to do so? I first wanted to make complete games, not just levels. It was in 1984 when I was writing business applications in Cobol and RPGII on an HP 3000 in Brea, California. I found something called “ADVENT” (aka Colossal Cave) in a tucked away subdirectory. I was hooked and this was actually why I dropped the suit and tie, let the hair grow long, and entered UCLA’s computer engineering. 2.) What’s the first level you ever made and what game was it for? 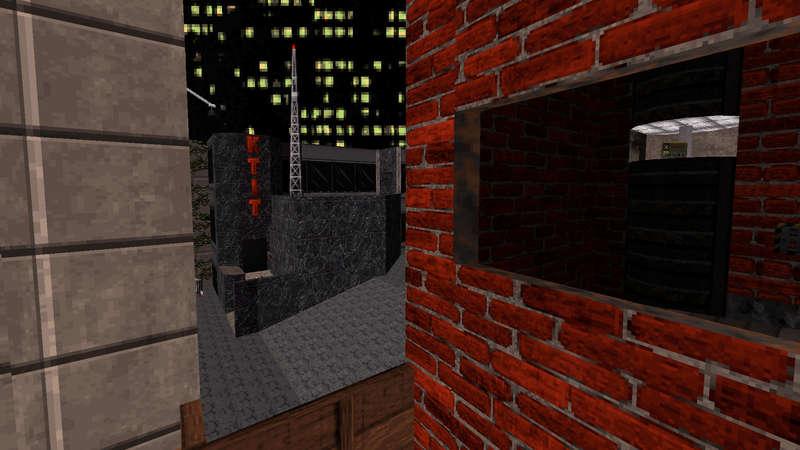 The first real real level was for DOOM using the DEU editor. It started, though, as simply modifying E1M1. I couldn’t believe id was actually going to let us modify their retail levels. I went in and removed the wall where that first window was. I loaded up the level and could not believe it! From that day on, I used every free minute to work on levels. I was a software engineer at an aerospace company, but I didn’t want to program anymore. 3.) How many games have you made a level for (officially and unofficially)? Too many to count. Maybe, …no, I really have no idea. There are always many levels made and many more partially made. 4.) From any games is there a level(s) or two that stick out to you? This is like picking a favorite color or food. I honestly can’t pick just one. Maybe DE_Dust from Counter Strike? 5.) Do you have a favorite level of your own levels? 6.) Some level designers like to imagine the level and let the mind build it and some like to draw it out. So do you have any specifics or rituals before you start a level from scratch? Nothing is set in stone. 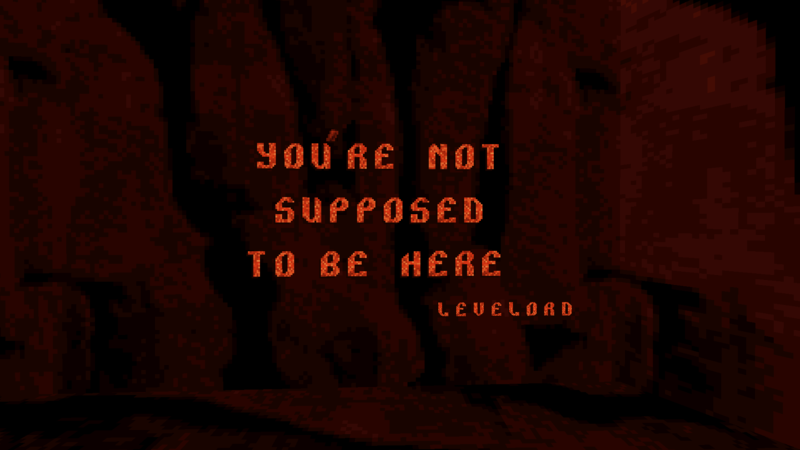 However, most often now, levels are designed by more than the level designer. Any good team will have everything designed and documented well before any sectors or brushes are cast. 7.) Do you listen to any music while mapping? If so what types of music would it be? Sometimes I have music and sometimes not. It depends on how much thinking I need to do. If there is a lot of brain work needed, like for scripting or even balancing, I like it quiet! Other times, I tend to have good metal playing. 8.) While mapping do you ever get stuck or become unsure how to continue on it? If so how do you overcome that and finish the level? Yes! This happens with most anything that is creative. It often happens toward the end of the day because my brain is tired. My brain is tired, but my heart wants to keep going. I always put everything down, though, and take a rest or go to bed. Walking or some exercise is good, too. 9.) Are you working on any new levels lately? 10.) Is there anything you would like to say to your fellow level designers? Only one thing … have fun and do it every free moment you have! Wait, those are two things, sorry! Seriously, if you are not having fun and and/or not doing it every free moment, then you need to find something else to do. If you are doing these things, then everything else will fall into place as you go. 11.) How old were you when you started mapping? I was a late bloomer with games. 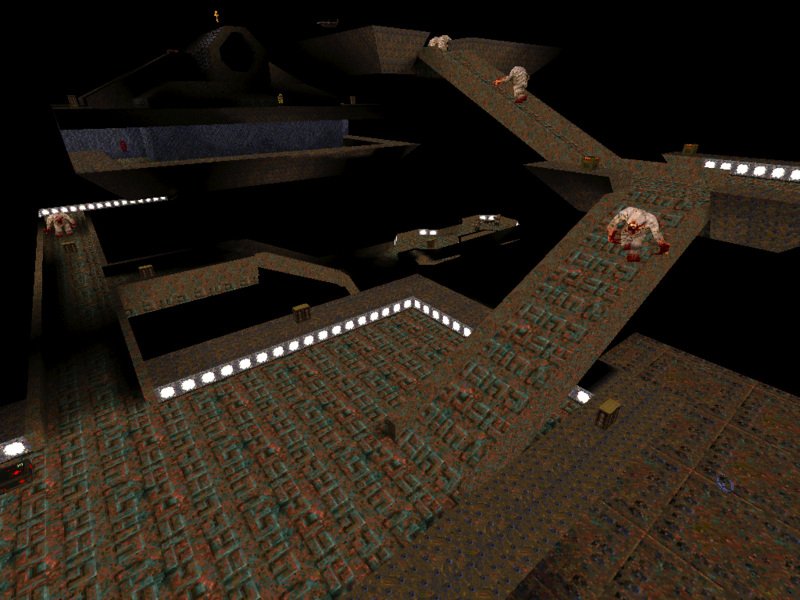 I was 35 when I made that first DOOM level, so there you go. 12.) Any particular place on a map you would go back and change? Almost everything in almost every map! It’s not that I feel the maps are bad, it’s just that I never feel that they are finished. It’s the same with art and code. It is very difficult to put things down. 13.) How long did it take you to make levels on average? Well, of course, that depends. 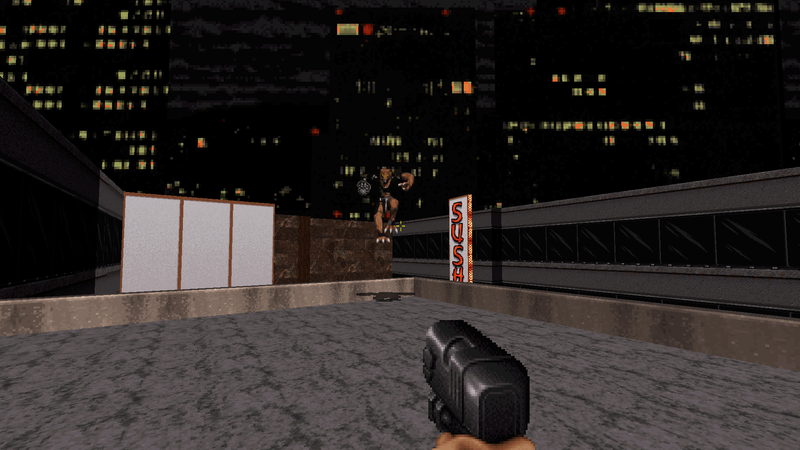 A professional Duke Nukem 3D level can take up to two solid months. The last AAA titles I worked on were back in 2006 and I can’t measure those because there were often more than one level designer and a few artists doing the levels and models and lighting and gameplay and … it’s not just one level designer. 14.) Whats your favorite monster in Duke 3D? Again, that’s hard to pick just one. The Pig Cops, Octabrains, Commanders, and the first two bosses are at the top of my list. Bonus: How did you know we would find the “You’re not supposed to be here messages?